Can I do a Master's Degree in Dance without having a previous dance certificate? I have a BA graphic design, but I really want to do a Master’s Degree in Dance and I want to learn more about it and be able to teach it in the future. Is that possible for me? I am a dancer and I have been dancing for many years but not professionally. 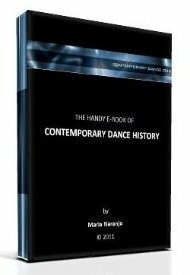 Comments for Can I do a Master's Degree in Dance without having a previous dance certificate? Your dream is possible but that depends on your general dancing and educational background. To earn a master's degree you will need to be accepted at a University or other kind of higher education institution. Depending on the place you intend to go, there will be different requirements and you will very probably need to attest your dancing experience and interest. I know for example, that there's a dance department at the University Paris 8 in Saint Denis, where you could do that. But that's a place for research and you will need to show enough skills in theoretical activities as well as in French language. There are also other types of higher education institutions in dance that are not necessarily Universities. Some institutes or conservatories offer titles that are not named as 'master's degree' exactly but that include high level education in different branches from the dancing profession, like choreography, teaching, producing and so forth. You need to think about the school you can afford and then make the correspondent research about the requirements to be admitted. In general, you will only find high level education in dance in cities like New York, Paris, Sidney, Shangai, Brussels, Madrid, Barcelona, Berlin, Los Angeles or so.